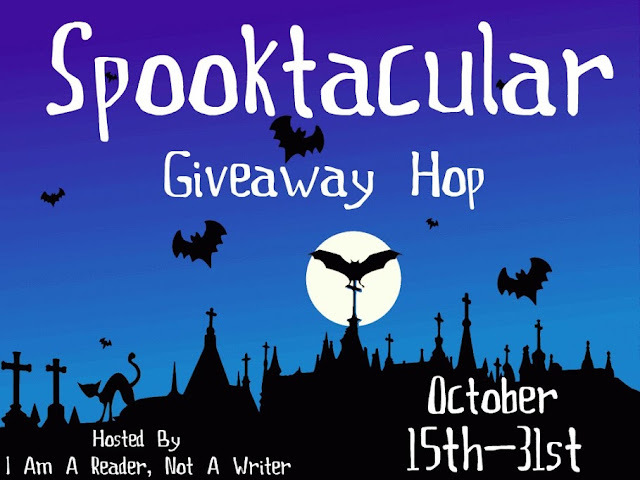 Welcome to the 6th annual Spooktacular Giveaway Hop hosted by I Am A Reader, Not A Writer! Fill out the Rafflecopter below for your chance to win a box of books filled with 15 romance and mystery titles by popular authors. Luck Be a Lady looks interesting! I want to read them all but I enjoy Susan Mallory and Sheila Roberts the most. So I'd grab those books first. All that matters, although they all look great! I'd like to read If Looks Can Kill! Thanks so much for the chance! It's hard to make out some of the titles but I think the Sheila Roberts romance. I usually enjoy Susan Mallery books, but all the books look great. The Carpenter's Lady looks awesome! Really awesome giveaway! I always love discovering new authors to read. The Susan Mallery Books. I really like her. Sweetness at the Bottom of the Pie. Thanks. If Looks could kill - sounds great! I haven't read a good Delinsky in a while...so probably that one! The Linda Lael Miller books! Iniquity by Amy Bartol. I've been waiting for years for the conclusion of this series. Mama Rides Shotgun sounds interesting, if for nothing but the title alone. You bring up some very good points. I wish we could do something about the food industry and how they handle things. Oh my, too hard to choose just one Melissa...thanks for the chance to win! I would like to read D.C. Noir and my wife loves Christmas so Blue Christmas is her pick. Linda Lael Miller-those look good! Deadly Gamble sounds good, gotta love a mystery. Thanks for the chance. I'd grab the mystery books first, I'm a mystery hound! I am really looking forward to The Carpenter's Lady by Barbara Delinsky. Thanks for having this giveaway. The Carpenter's Lady by Barbara Delinsky. the Susan Mallery book that is one of hers I haven't read. All That Matters catches my eye. There is a lot of good ones in there, but I am curious about D.C.Noir one. Mystery and Crime and Sweetness at the Bottom of the Pie both look good. If Looks Could Kill by Kate White and several more. Thanks for the giveaway. All That Matters sounds like it would be good. I'd like to read SweetbTalk by Susan Mallery. These books look so awesome but I'm most excited about If Looks Could Kill! I can't read all the title in the picture but I want to read Library of Souls by Ransom Riggs. They are all new to me but I'd probably reach for "If Looks Could Kill" first. Any of Miller's books would be of most interest as I want to read all of hers. I like all types of books and genres. If Looks Could Kill from the stack! In general, I really want to read Six of Crows by Leigh Bardugo! The book called All that Matters looks good. The one I'd probably read first would be the Mystery & Crime book. The Carpenters Lady looks great! Thanks for the chance. the carpenter's lady. I love barbara delinsky! If I had to pick one, I would pick Luck Be a Lady by Meredith Duran. If looks could kill . I would say A Wedding On Primrose Street. If Looks Could Kill. Thanks for the giveaway! If Looks Could Kill. I've read The Sixes & The Wrong Man by Kate White and enjoyed both. Honestly I haven't heard of any of these books but that's the fun. A couple years ago I decided I would read EVERYTHING suggested to me by people, and if I won the box, I would read every single book. I have found that's the best way to discover a new favorite, try everything, even the books that you wouldn't normally pick out yourself. I'm looking forward to Blue Christmas. The Carpenter's Lady looks good, and of course Susan Mallory. Thanks for the chance! I'd say Sweetness at the Bottom of the Pie. But they all look good. It is very hard to choose, but I think I would go for the mystery first, "If Looks Could Kill". The Carpenter's Lady look great but then again they all look great. Blue Christmas might be my first choice, but if I had my hands on he books another one might "feel" like I should read it first! I would put IF LOOKS COULD KILL by Kate White on top of my pile of reads. The Carpenter's Lady. Thanks for the chance. I'd like to read Deadly Deceptions. Alan Bradley's book. Love his work. Thanks. The Susan mallery book. Love her books. Luck Be a Lady by Meredith Duran. I love Meredith Duran! Luck be a Lady, for sure, and Sweet Talk by Susan Mallery. Luck be a Lady is the one I'm looking forward to the most. All of them but Deadly Gamble looks good. 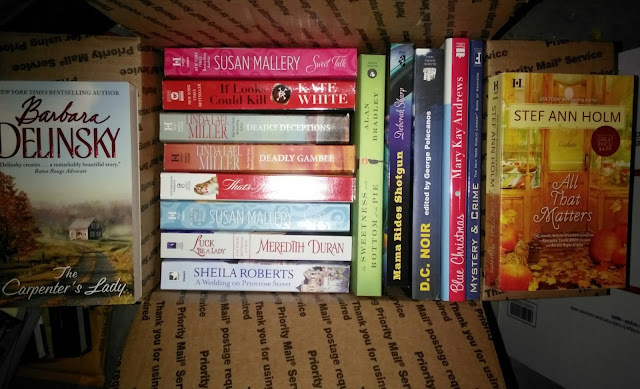 Having trouble deciding between the Sheila Roberts book and Susan Mallery's Sweet Talk. Thanks for the chance to win. If looks could kill look good! I would love reading all of them!!! Meredith Duran's book and many others too. Thank yoU!